Within 30 minutes or less, we can arrive at the affected location. We begin setting up services to stop and remove invading mold caused by flooding, burst pipes, sewage backups, or even water damage resulting from fire or natural disaster. Mold damage and its potential spread is often the biggest threat to your life and property. When it comes to containing mold damage, time is of the essence. At National Water Restoration, we understand how important it is to act fast. 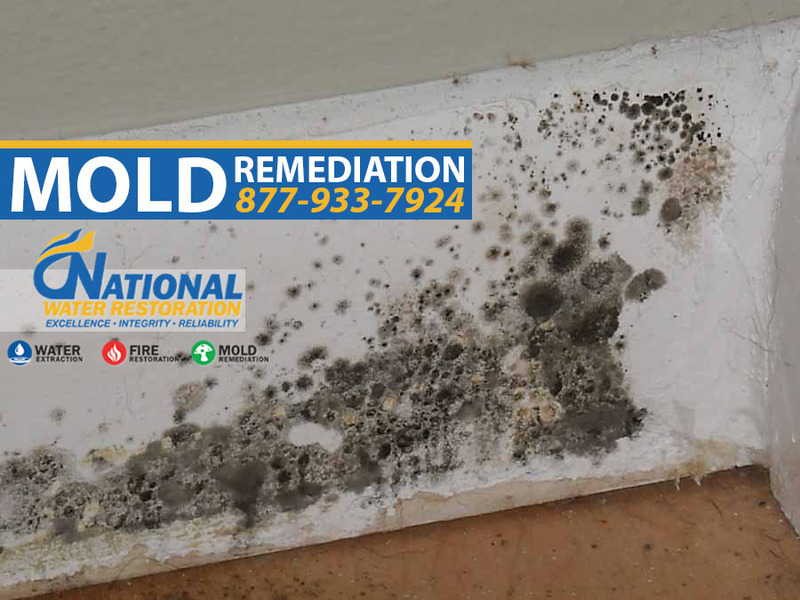 When we arrive on scene, the mold remediation team from National Water Restoration begins by initiating a visual inspection to determine the location of the mold infestation in the property and on all personal possessions within the structure. Many times, however, the biggest danger with mold infestation comes from what you can’t see. Black mold spores easily spread to unaffected areas and threaten the entire property. National Water Restoration conducts industry-standard air quality tests to detect where spores have traveled. Once our team has determined where mold has spread, we take action to prevent its spread to unaffected areas. The sooner we get into a property, the faster we can remove all contaminates and get your life to normal.